For one more year the municipality of Syros - Hermoupolis highlights and displays the brilliant history and the notable culture of our island, through a rich cultural program, Syros Culture 2017. The island’s internationally acclaimed annual festivals are offering a wide range of performances for all tastes. Syros’ people love the arts almost as much as they love the sea that surrounds their beautiful island, they say. 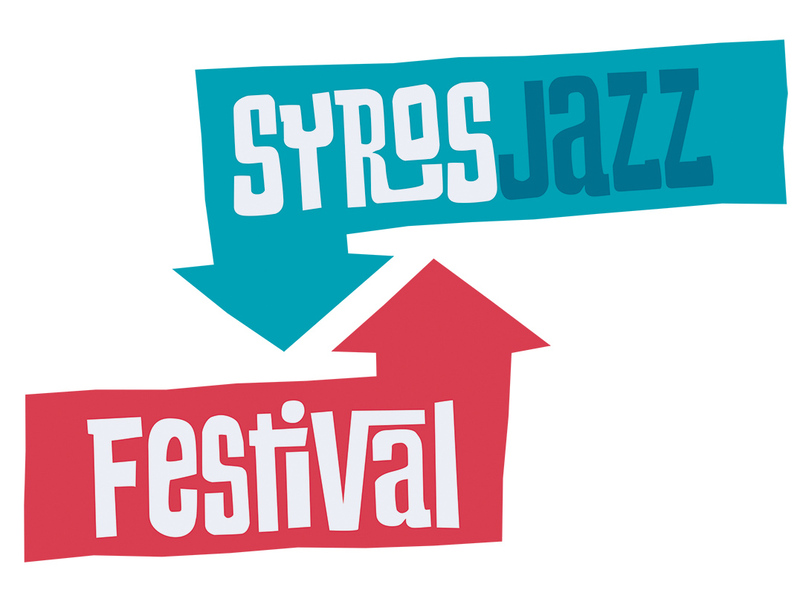 So a great tip, if you plan to visit Syros, is to time your visit with these festivals. The annual festivals are guiding the visitors through the world of Culture, emphasizing the rich and distinguished cultural route, on which Syros has been travelling for centuries. 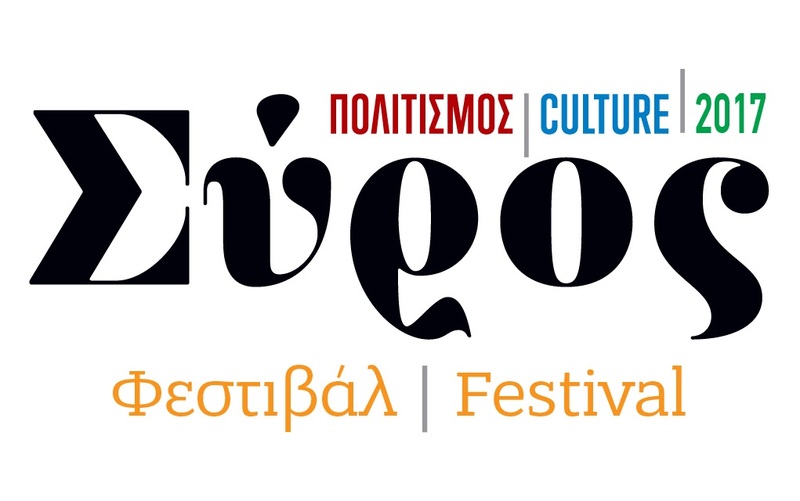 The choices are many and apart from the already established festivals, year after year new are added to the cultural program of the Municipality of Syros - Ermoupolis, always focusing on class and respect for the history and tradition of the island. 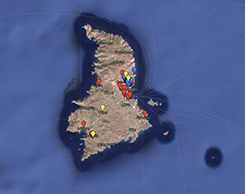 Scattered all over the island, the festivals will be hosted in the: Tsiropina Villa in Posidonia, Apollon Theater, Hermoupolis Cultural Center, Cyclades Art Gallery, Town Hall, Industrial Museum of Hermoupolis, Miaouli Square, Evanthia Kairi Theater in Lazareta, Y. & E. Vatis Art Hall, Ano Syros, Manos Eleftheriou Concert Arena, Finikas Village, Komito beach in Posidonia, Asteria area in Ermoupolis, Movie Theater "Pallas", Agios Athanasios Pigi in Ano Syros, Pedestrian street in Hermoupolis, Kini Village. A great combination of tango and vacations in the beautiful greek island of Syros artist with an international career. 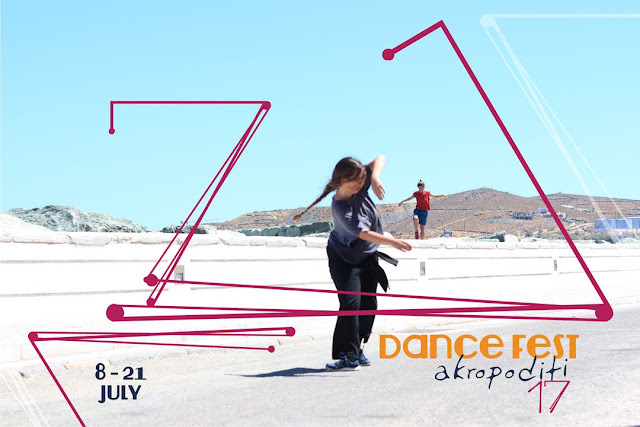 Akropoditi DanceFest started in Syros island in July 2013 by Akropoditi Dancetheatre, a Non-Profit Organisation, registered in Syros. The very first dance festival, Akropoditi DanceFest 2013, took place in July 2013 (15-28/07/13) at the Dance Center, expression & creation in contemporary arts, which exists since January 2013 at Iroon Polytechneiou 84, in Hermoupolis of Syros island. The festival lasts fifteen days and includes 10-day, 5-day and 2-day workshops, presentations and video projections from both the teachers and workshop participants, dance and dancetheatre performances, open jams and more throughout the island. The festival hosts artists from Greece and abroad, combining theoretical and practical workshops with diverse content. The workshops, depending on their content, are aimed at beginners, amateurs or professionals of dance and theater, and each participant may choose a combination of weekly workshops and independent workshops carried out over the weekends. Founded in 2013, the Syros International Film Festival showcases a wide spectrum of cinema in traditional and re-purposed island sites. Located in the middle of the Aegean summer, removed from the usual demands and hierarchies of the film industry, SIFF embeds events, styles and programs-experimental and narrative, recent and retrospective, Greek and international, workshops and expanded cinema performance-into its unique setting. The festival aims to welcome an array of cinematic experiences into this immersive dreamscape, allowing us to re-think the question of “What is cinema”? "Eye's Walk Digital". An innovative festival combining digital technology, video installation and performing art, the designing experience with the particular cultural and architectural background of a city. "Eye's Walk Digital" draws its subjects from man and society to create a new kind of art by composing all of the above. Its productions grow in the public place with boldness and with the participation of artists, visitors and the community. Founded in 1994, Hermoupolis Guitar Festival is regarded as one of the top guitar festivals in Greece, noted both for its musical quality as well as its friendly atmosphere. The five-day summer festival includes solo and chamber music performances, master classes, competitions and a big guitar orchestra by the participants. It's an open celebration, a gathering of creative musicians, teachers and students with the audience. Meet them all over the city, on the streets, in restaurants, in cafe and sit among them in the intimate venues! The Festival is open to guitarists of any age and at any stage of their career and explores the many aspects of the world's most popular instrument through a rich and varied program. It gives unforgettable events to the audience and step expression to young artists while enriches experiences for students through active participation in seminars, competitions and music ensembles. The International Festival of the Aegean, which takes place annually on the Island of Syros, Greece, was founded in 2005 by the Greek-American conductor Peter Tiboris. The Festival attracts world-class musicians, dancers, and actors from dozens of countries, and has become a summer destination for lovers of the arts from Europe and beyond. 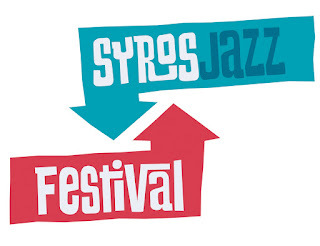 MidAmerica Productions and MidAm International are the primary producers of this Festival in Syros. MidAmerica Productions was founded in 1983 and has produced worldwide 1300 concerts of which 550 of them have been in historic Carnegie Hall in New York City. The Syros Accordion Festival provides us with the opportunity to explore of the roots of accordion and its routes through the time, as well as the influences it received from the traditional music of the East to the contemporary rhythms of the West. Every day, for a whole week, there are seminars, expositions, workshops and lectures, in which children, students, artists, music teachers, professional or amateur accordionists and other musicians of any age and level of knowledge and skills can participate. Additionally, various concerts are organised through which the manifold potentials of the accordion are presented. Syros has always been in the center of the Greek folk music scene, which was an integral part of island’s culture in the first decades of the 20th century. Markos Vamvakaris, was the first musician to make rembetiko, as well as the island of Syros known across the world. The Rembetiko Festival aims to officially pay tribute to the famous artist, by recognizing his work and artistic value. The Rebetiko Festival includes a wide variety of events, such as concerts, documentary showings, lectures, exhibitions, book presentations and children-friendly events, in order to promote rembetiko music and showcase Markos Vamvakaris’s contribution to Greek culture. The International Animation Festival + Agora of the island of Syros is the largest festival and market of its kind in Greece and one of the 20 most important globally. It started in 2008 and it is annually held in the capital of Cyclades, the neoclassical town of Hermoupolis. The festival comprises screenings, tributes to international animation festivals, artists and studios, media literacy activities for children, youngsters and adults, parties and tons of parallel events. This year, Animasyros launches the Agora animation market section, aiming at becoming a hub of creative professional networking, targeting the development of synergies among animation professionals. Εvents are free to the public and take place at the imposing Apollo Theatre, the Hermoupolis Cultural Centre, the University of the Aegean premises, the central Miaouli Square and elsewhere.